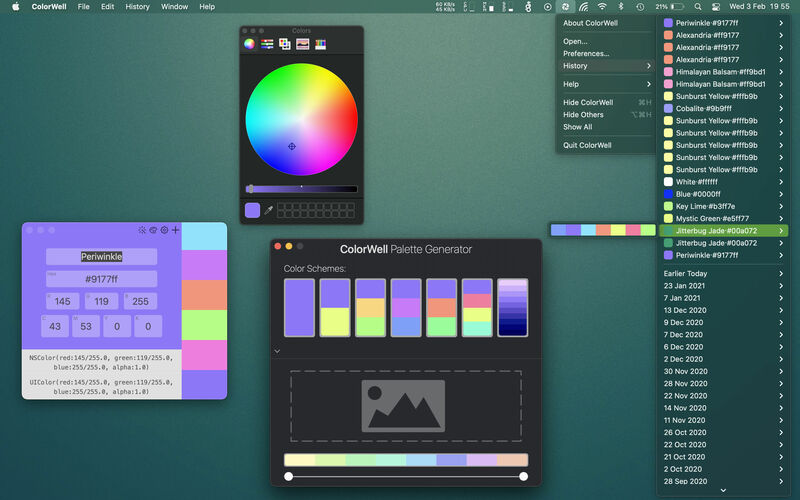 ColorWell synchronize's palettes with the macOS System color picker. 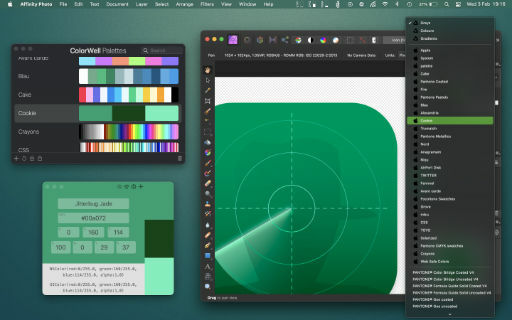 So, all your carefully created color schemes are available for use in Pages, Affinity Photo, Final Cut Pro or any other first class macOS app! All the system palettes are also available to view and create custom palettes from. Every color change you make is saved to History. So even if you can't remember what color you were inspecting 3 days ago - ColorWell can! History support is not limited to single colors, the entire color state is saved on each change. So the current active color along with any saved swatches are right there when you need them. Use stored palettes as a starting point, fine-tune individual colors. Grab complementary, analagous, triadic, tetradic, or monochromatic colors from the palette generator. 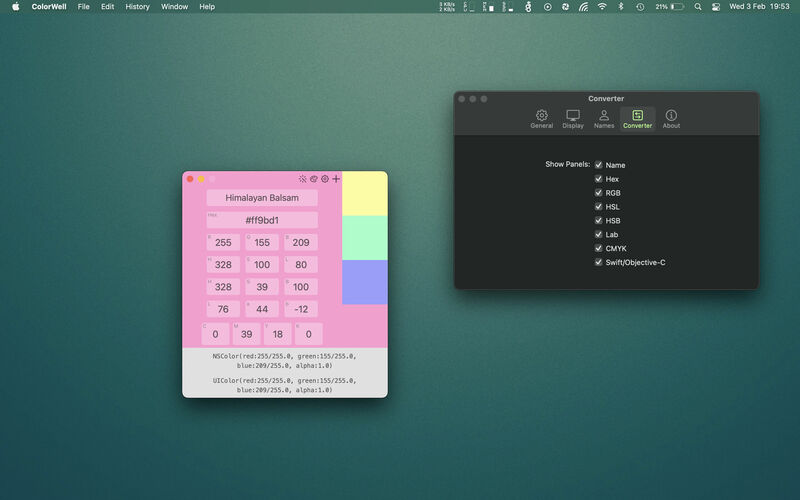 Rip colors from images, and finetune the color selection. You can create palette's with unlimited number's of swatches. Only what you need, nothing you don't. Look like something you want? Great, Buy it for only $19.99 using the buttons below. Alternatively take ColorWell for a free 2 week test drive and see if it fits your needs. Just click the Try it button below. Head on over to our main site and check out some of our other great Apps, or for ColorWell support.